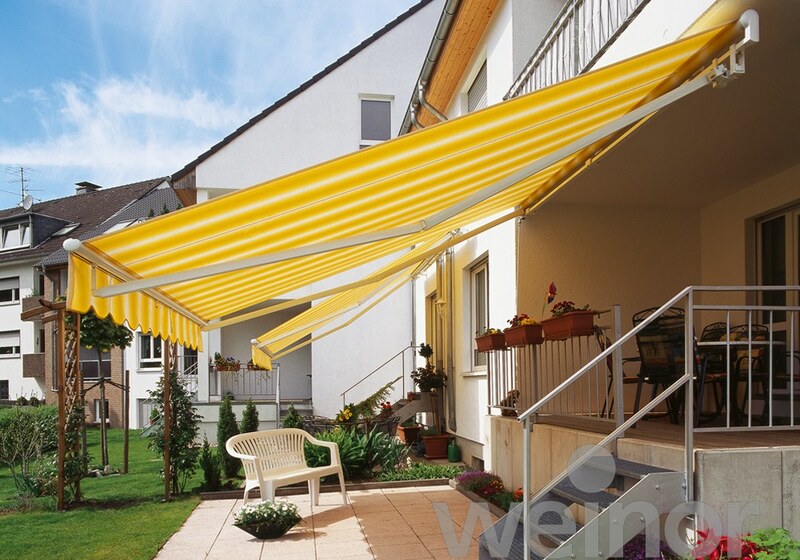 As it comes with several options, you’ll always ﬁnd a matching Topas no matter the type of structure. 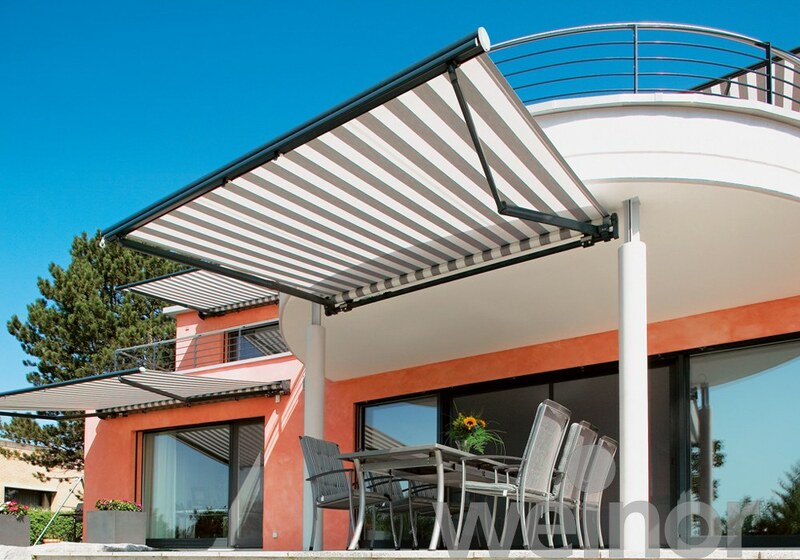 The Topas open awning is very wind resistant, and when one of the many frame colours is combined with one of the beautiful fabrics it creates a perfect atmosphere. 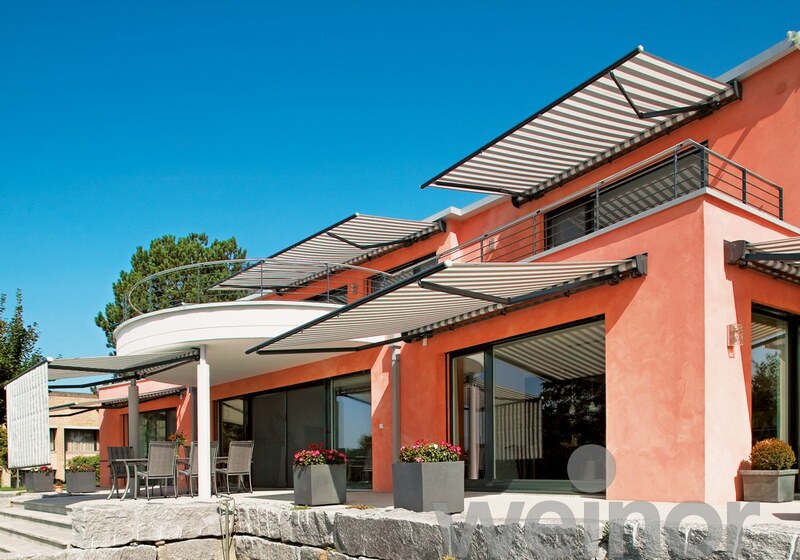 As an open awning, the Topas is suitable for almost all installations, whether in a niche, below a balcony or underneath a roof overhang. 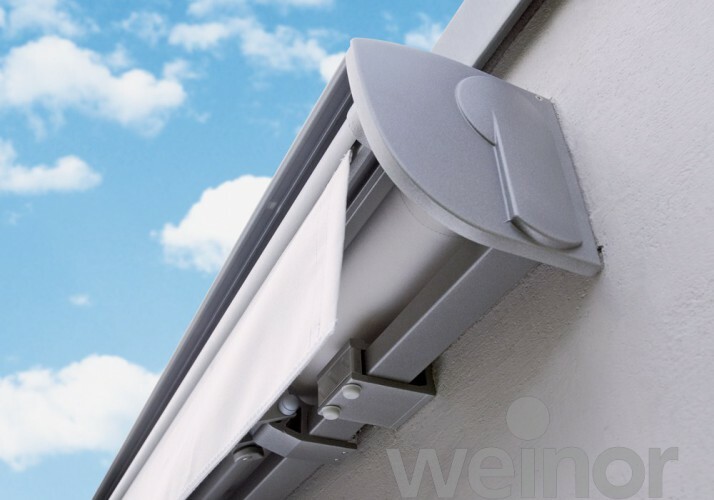 Additional saftey in the entry level model you will get by choosing a protection roof. 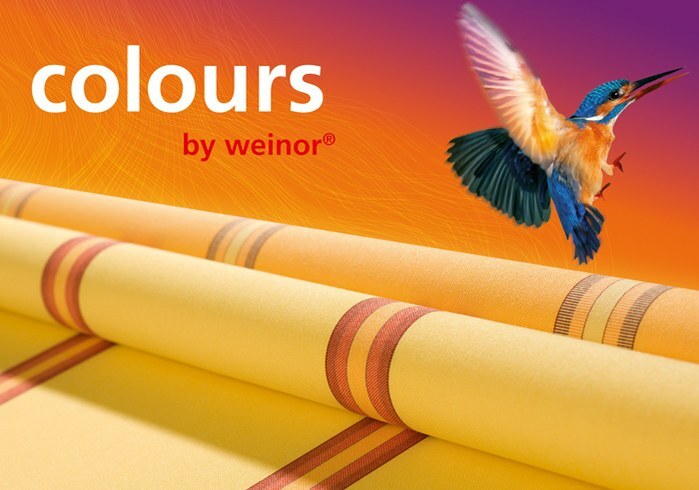 Teflon EXTREME® finishing makes weinor fabrics water and dirt repellant. What’s more, the solution dyeing process, which locks the pigment into the fibres, gives them their long-lasting brilliant colour. 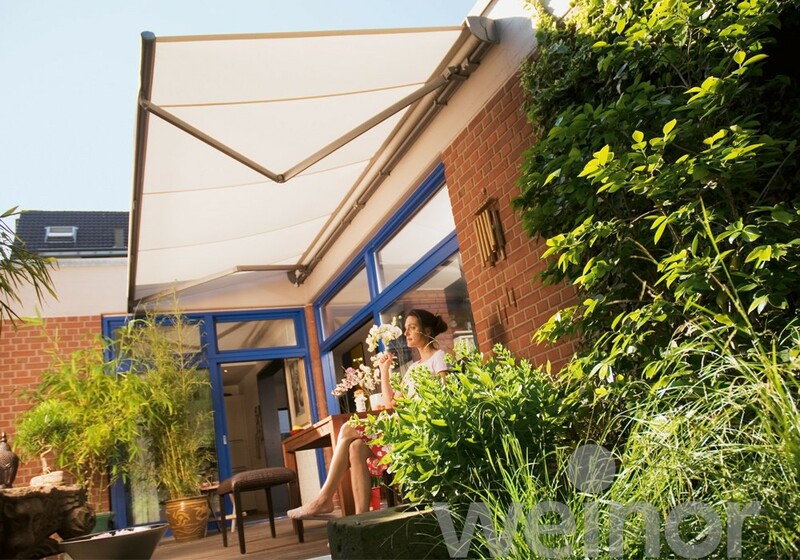 Or you might want to opt for Somfy io-homecontrol® or RTS instead – the choice is yours.